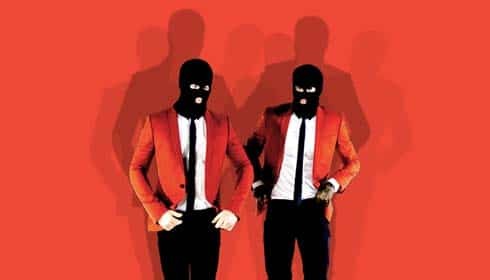 Bringing their headline summer tour to Hersheypark Stadium are the duo that are…Twenty One Pilots. After some rearranging, Tyler Joseph and Josh Dun are now at the helm. Their current show, “Blurry face Tour”, has been a huge success and sold out quickly. They bring quite a mix of instruments into their music..piano (and sometimes an electronic keyboard), synthesizer, drums ( mixed with electronic drums for some songs), vocals and an occasional ukulele. Their songs are poetry-based and sometimes difficult to fit into any one musical genre. Although there are allusions to Christian theology, references and/or inferences to God and they are both Christians…Twenty One Pilots is not considered a Christian band. While being difficult to categorize genre-wise, they’re certainly making headway on Alternative Radio. Book now at 1825 Inn Bed and Breakfast right next to Hershey PA…June 19, 2016 will be here before you know it!